The difference between a complete installation and a cooler set up is simple – “running” the waterways from the water source to the bottleLess cooler. If you are replacing an existing BottleLess water cooler, the waterways are already in place. All that needs to be done is set up your new BottleLess.com Cooler. 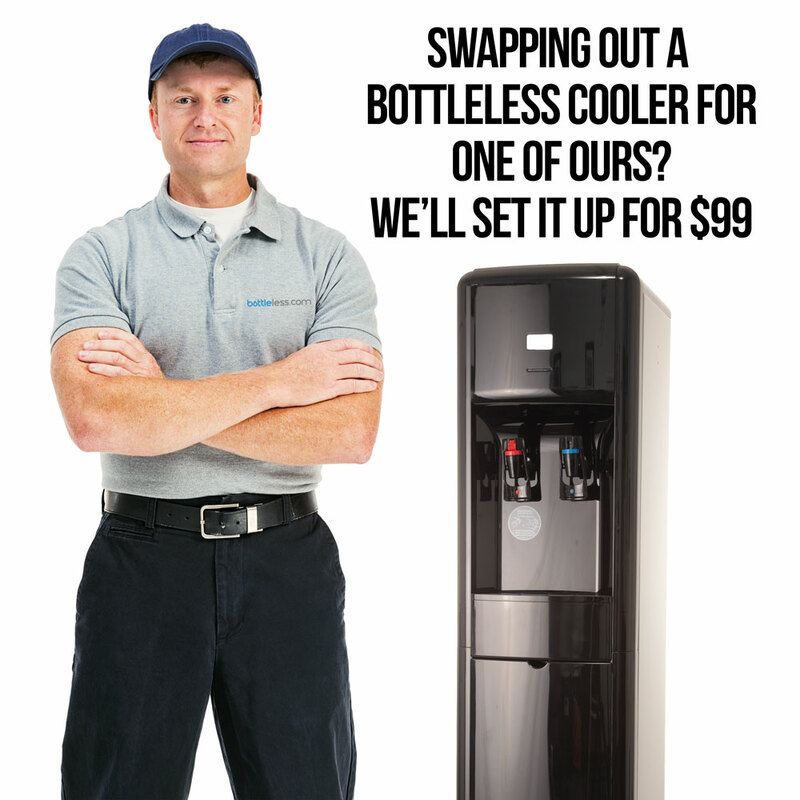 Well, we can have one of our national network of professional technicians come out and set up your new cooler for you – for only $99. You can focus on your work/life/the beach – and we’ll focus on your water. We would attach your new cooler to the existing waterway, flush the filters, set it up and make sure everything was working properly. Here is how it works: Just add Setup Service to your cart and check out. Once your cooler ships, our service team will be in touch with you to schedule a time to come out and set up your BottleLess cooler. Our teams looks at the scheduled delivery date and shoots for scheduling your installation the day after your cooler is due to arrive. We understand how much you want to get drinking your pure water – so we will make every attempt to get you on the schedule right away. Bottleless coolers come with manuals and videos if you’d like to set up the cooler yourself. But, if you’d like someone else to do it for you, it’s only $99. 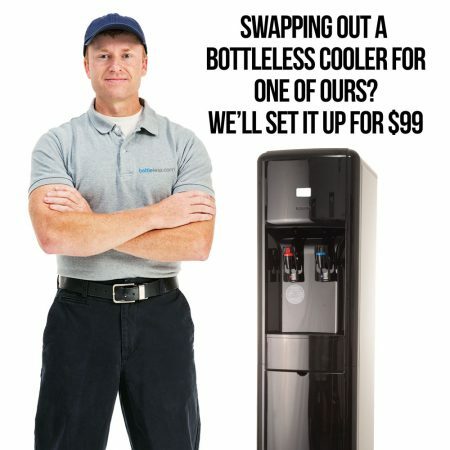 Please note: we only perform this service on coolers purchased from bottleless.com. If you need a technician to install your bottleLess cooler in a new location, please choose our $199 Cooler Installation option instead.